The TR1 is made of HDPE. 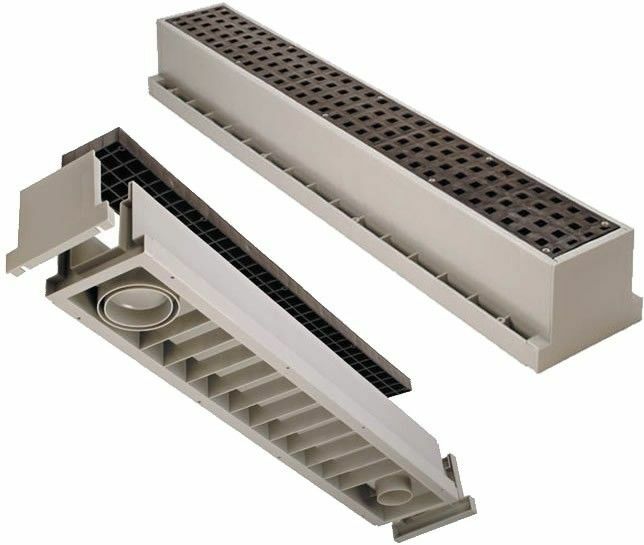 Includes trench, grate, snap-on end caps. Easy-out bottom drains for 2", 3", or 4" pipe. TR-1 is 6.75" wide at the base. 36" long on each side, and 5" deep. Molded-in ribs for exceptional rigidity. H-20 Wheel Load Rating (Heavy Traffic). Grate complies with Americans with disabilities.